THE City of Vincent will receive $210,000 to expand on its bike path network. 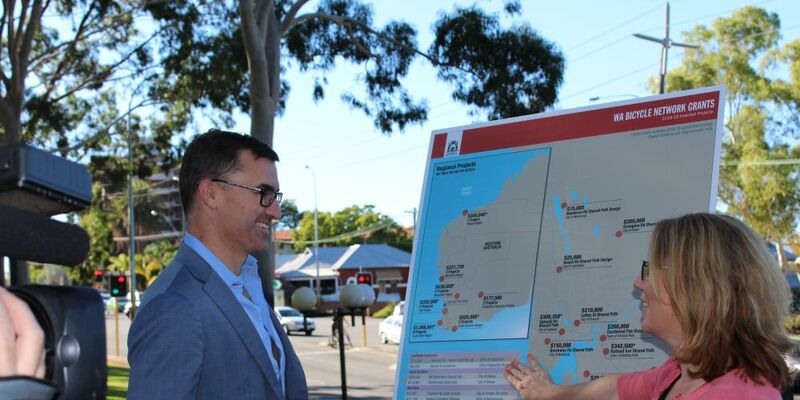 Transport Minister Rita Saffioti today announced more than $6 million will be distributed to 34 local government to complete 39 projects as part of the Perth and Regional Bicycle Network grants programs. Funding will be divided up throughout the next two years, which will see a 3m shared path through the administration building to Richmond Street and a 1.6m protected bike lane on the south lane of Loftus Street. City of Vincent mayor Emma Cole said the inner-city local government had had “a really big push on cycling infrastructure”. “We’ve been pushing to get our community members onto bikes so we’ve had some fantastic infrastructure on Oxford Street,” she said. Ms Saffioti said there was a demand for separate bike paths from cyclists and motorists. Full list of funded projects at www.transport.wa.gov.au/wabn_grants.